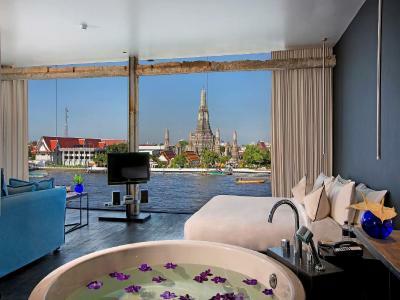 Lock in a great price for Sala Rattanakosin Bangkok – rated 8.3 by recent guests! Staff are as good as ever and are to be commended for there helpfulness and professionalism. The restaurant is excellent and the rooftop bar must be the best around . 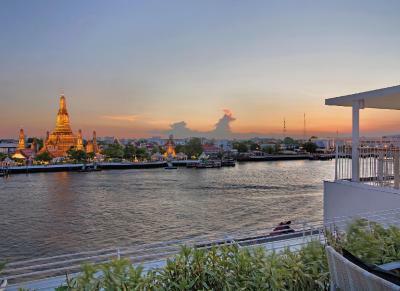 The views are spectacular and the location is the best in Bangkok. 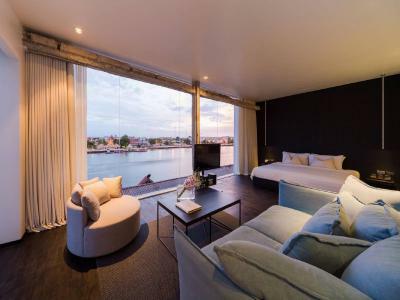 the room was perfect as I saw on booking.com. the staffs were very friendly and spoke fluent English as well. Breakfast at the hotel was very enjoyable too. The taxi service to airport was very convenient for guests. Amazing, amazing view, and very kind staff who are fluent in English. We stayed one night and that’s all you need. The rooms are small by Bangkok standards. 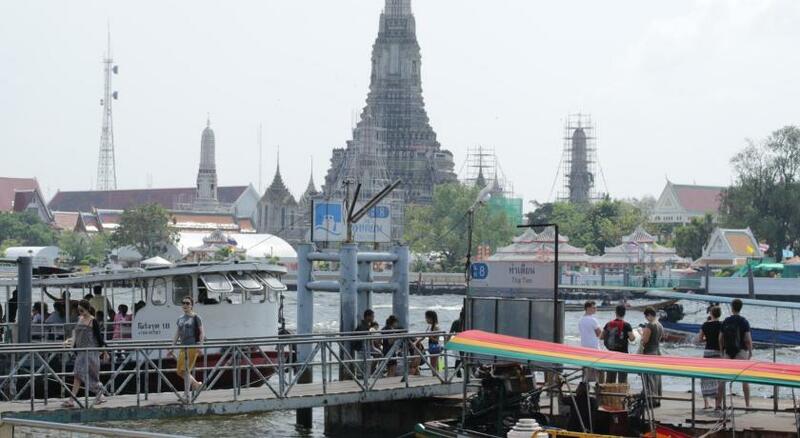 Great view of Wat Arun and the river but that was it. This is a wonderful place to stay in Khao Lak. Especially the very warm welcome from the owner is unforgettable. I travel a lot in Thailand and this was a very special stay. 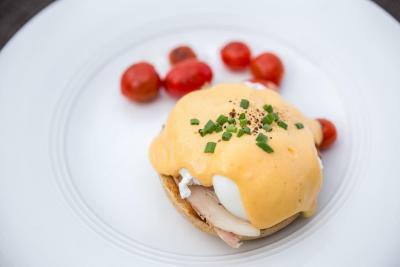 The room and the bathroom are huge and very clean.The restaurant has great food for nice prices, the breakfast is very good and the staff is very friendly. 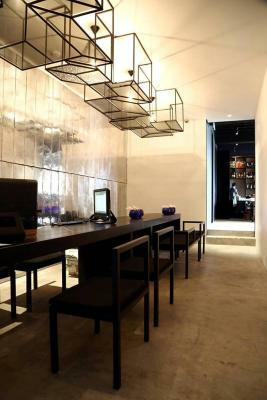 There is a nice massage place just around the corner and more restaurants to pick from. Still quiet and only a step from the beach. The view from the rooftop terrace is amazing. The food in the restaurant is very good. The staff is very accommodating even though they didn't speak much English.They arranged. Luxury car for us to and from the airport and that worked out well. The included breakfast was excellent. The hotel's location is very good, next to the main temples and on the river. 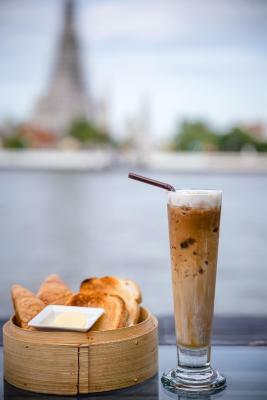 Nice location if you are visiting Wat Arun and Palace. 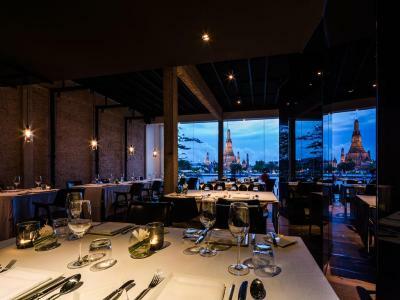 Sala Rattanakosin Bangkok This rating is a reflection of how the property compares to the industry standard when it comes to price, facilities and services available. It's based on a self-evaluation by the property. Use this rating to help choose your stay! One of our best sellers in Bangkok! 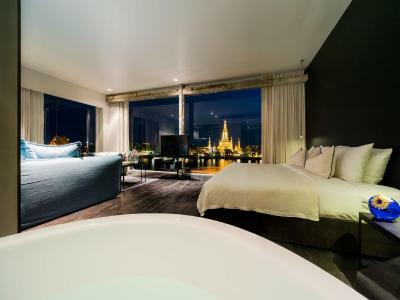 Located along the eastern bank of Chao Phraya River, Sala Rattanakosin Bangkok features comfortable rooms with modern interiors and private bathrooms. It offers free Wi-Fi, which is available throughout the residence. 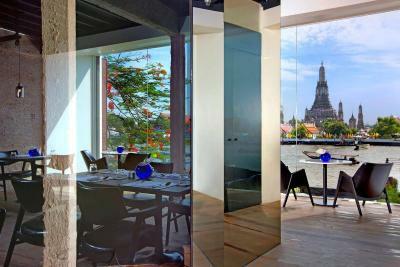 Sala Rattanakosin is a 10-minute walk from the city's attractions, namely Grand Palace and Wat Pho Temple. It is 500 feet away from Temple of Dawn or Wat Arun. Suvarnabhumi International Airport is located 37 mi away. 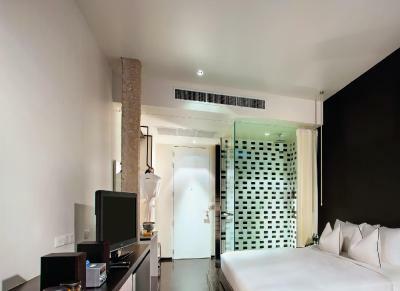 Cozy rooms are equipped with air conditioning, a flat-screen satellite TV and a refrigerator. Private bathrooms come with hot and cold shower. For convenience, the hotel offers a 24-hour front desk and laundry/dry cleaning services. Staff at the on-site tour desk can help guests with sightseeing arrangements. The restaurant serves a variety of international dishes and a diverse selection of traditional Thai cuisine. Roof Bar offers light snacks and refreshing beverages. 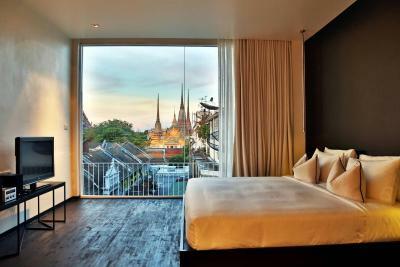 When would you like to stay at Sala Rattanakosin Bangkok? Located between floors 3-4, air-conditioned room offers a flat-screen satellite TV, a safety box and a seating area. Shower facilities are included in an private bathroom. 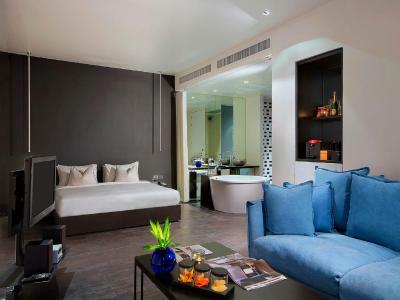 Larger air-conditioned room features an private bathroom, a flat-screen cable TV and a seating area. 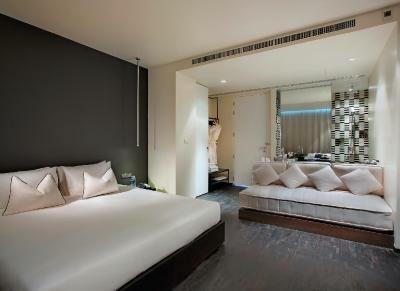 Larger air-conditioned room features a private balcony with partial views of Wat Pho and an private bathroom. Includes a flat-screen satellite TV, a safety box and a seating area. Air-conditioned room features river views. Dear valued customer, Please feel free to contact us should you require further information. 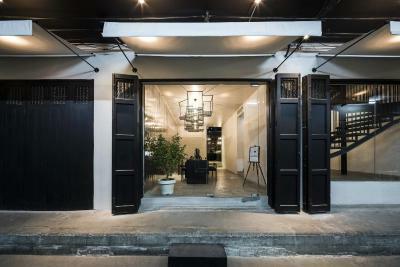 We look forward to welcoming you to sala rattanakosin soon. 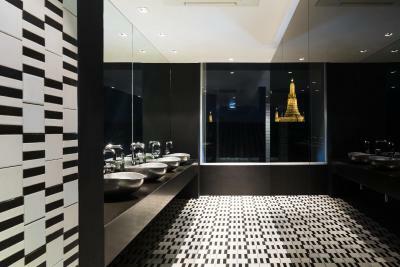 House Rules Sala Rattanakosin Bangkok takes special requests – add in the next step! Sala Rattanakosin Bangkok accepts these cards and reserves the right to temporarily hold an amount prior to arrival. Please note that the property does not have a elevator. Staff are on hand to assist guests with luggage, if needed. When we checked in to our room, the toilet wasn’t flushed and we were met with a surprise unpleasantry. The view of wat Arun is amazing. As an older person I found the stairways which had black painted walls and floor, very dark. The lighting was poor. We loved the wonderful view of the river and the smiling friendly staff. I didn’t like that everything in our room was damp. It was as if the cooling system was a swamp cooler which resulted in our entire room having a damp musty smell only to be lessened by the lemongrass oil they were diffusing in the room as well. It was less damp outside, and the humidity when I was in Bangkok was 90% outside so that’s saying a lot for how moist it was in our room. I loved the central location and convenience to what I wanted to see and do the4 days I was there. The view from our room of Wat Arun was breathtaking & was by far the best part of the stay! I liked that there was security at night, as it was located at the end of an alley. All but one employee were exceptionally helpful. They cope very well without a lift. We have been coming here since the first year it opened. A bit hard to access. On a narrow alley. No elevator. 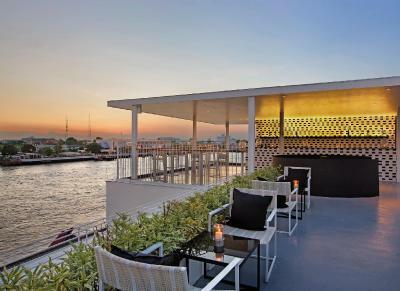 Fine centrally located Bangkok location overlooking the Chao Phraya River. Recently renovated and clean rooms. Breakfast was very good on a terrace overlooking the river. Staff was friendly. Popular rooftop bar fills each evening. Many must see tourist sites within walking distance. Good restaurant onsite and many others nearby. Small hotel, interesting design of rooms, breathtaking views, friendly and helpful staff, excellent breakfast served. 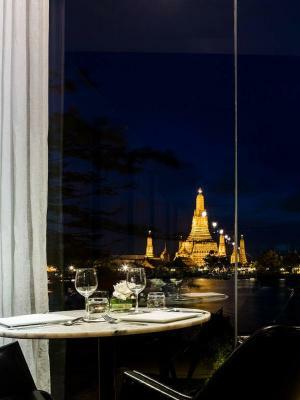 The hotel restaurant is considered one of the best in Bangkok (by right), although the prices are quite high. I did not like that this place menus does not meet people’s eating needs. No vegetarian options. My husband did ate their breakfast several times and said it had no flavor. Staff was not as friendly as other places we’ve stayed in Thailand making you feel super welcome. It smell by times like sewage and in the mornings when they started to clean the room that vacune was so Loud and they would bang in your door with the vacuum while cleaning. I loved the location and the view of the bar and restaurants. The room was really cool. The shower was awesome and the bed very comfy. There was an unpleasant smell around the hotel including our bedroom and immediately outside our bedroom door was a small machine to purify the air which didn't seem to work well if at all. Although the property is adjacent to the Chaophraya River the river itself does not smell and we previously stayed in another riverside property without any smell issues, so this is perhaps more of a damp issue for this hotel. The location was both a strength and a drawback. 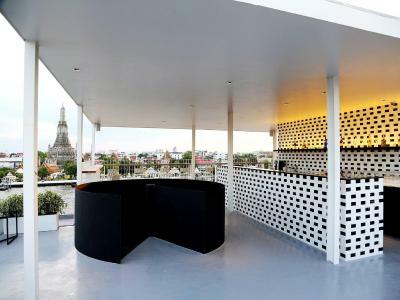 Brilliantly located for the Grand Palace, Wat Pho and Wat Arun but the area is generally quiet at night with little choice of local bars and restaurants. The roof top bar - which closes early - provides superb views and the breakfast was very good..
One particular staff's attitude was just poor. Her name is Nicky. She got the job done, but with very poor attitude. Should take a look into her. The location is excellent right in the middle of the old city. There was a cockroach in our bedroom. Stunning view from our room. Nothing to mention - just keep up the quality and service! 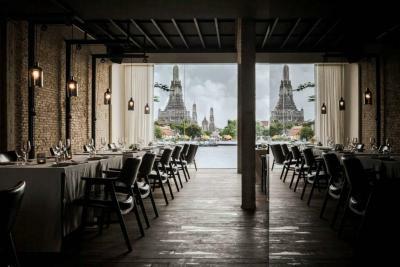 The Sala Rattanakosin, Bangkok, is a very unique boutique hotel in the middle of a market and packaging complex, at the banks of the Chao Pharya river, literally in walking distance (less than 5 min) to the Grand Palace or the temple district. 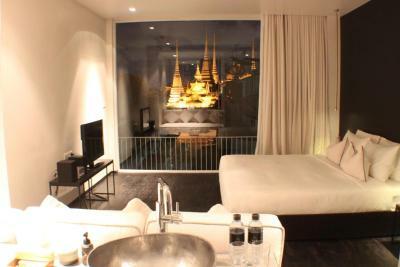 We enjoyed the Deluxe Double Room with the amazing view on the view on the Wat Pho! 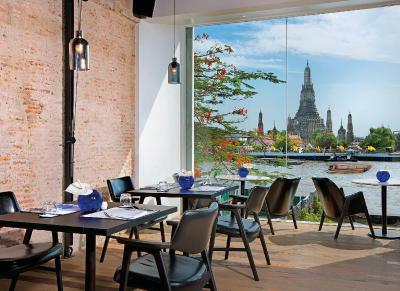 The breakfast room has a view / terrace facing the river and the Wat Arun. It does not get any better. 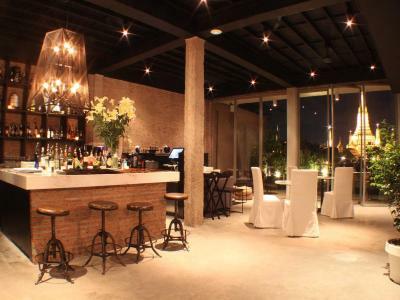 If you are looking for a exquisite location in the center of the historic sites of Bangkok - this is the place to be! The approach to the hotel is through a scruffy alley with warehouses spilling out on the road - daunting to say the least. And the bedrooms are functional and well designed but truly very very small. Excellent funky restaurant - could there be a more inspiring reason to get out of bed for breakfast? And lunch was also very good. The location is excellent, near major temples and with good shopping streets nearby. And having the river at your feet, with Wat Arun lit up at night is totally memorable.